Four-time consecutive AMA Superbike Champion Ryan Villopoto is ready to move on to the next stage of his career, signing on to represent Kawasaki in the World Motocross Championship in 2015. Villopoto will race in the newly- christened MXGP class. 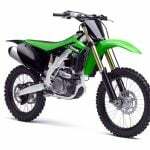 Formerly known as the MX1 class, MXGP allows 450cc four-stroke machines and 250cc two-strokes. 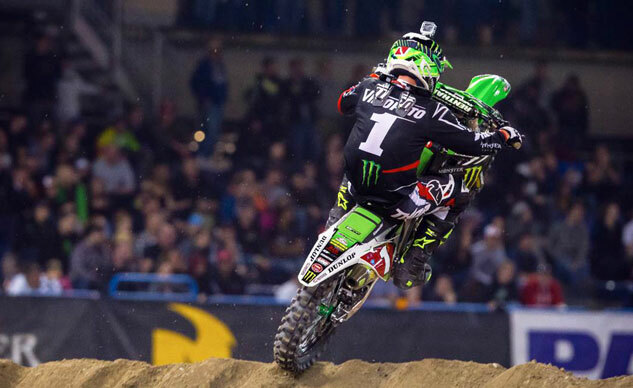 Villopoto will be joined by 2008 MX2 World Champion Tyla Rattray. 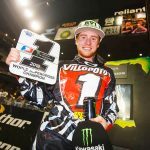 Villopoto has little left to prove in AMA racing, having three Motocross titles to go with his four Supercross championships. 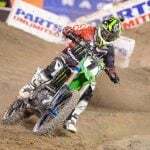 The 26-year-old Washington-state resident is leaving the Monster Energy Kawasaki Energy in good hands with former 250 class champions Davi Millsaps and Wil Hahn racing the KX450F. 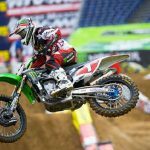 The Kawasaki AMA team will also enter Adam Cianciarulo, four-time Arenacross Champion Tyler Bowers, Chris Alldredge and Arnaud Tonus in the 250 class.